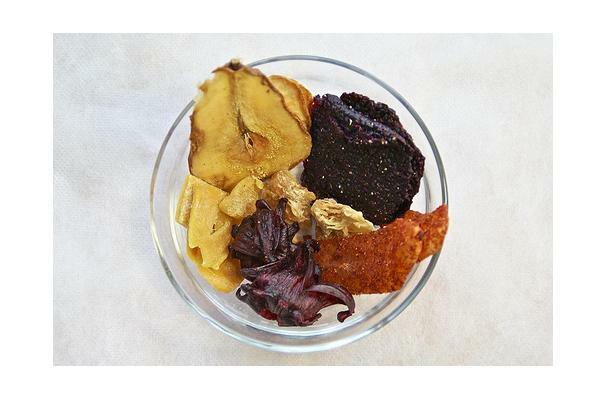 Dried apples, pears and prunes are cooked in water until they are soft. Place a dish of this fruit and a dish of nuts on the table to be eaten after the meal. "If you eat the fruit, you won't get sick from eating too much food", Mrs Jachimowicz says.